Mildred Odira's family have many questions for authorities, including why they were not informed that her body was found, after they filed a missing person's report and the story was printed in various newspapers. Odira's body was found with a wound on the forehead, another on the cheek, a cut on her abdomen and fractured legs, six days after she was reported missing. 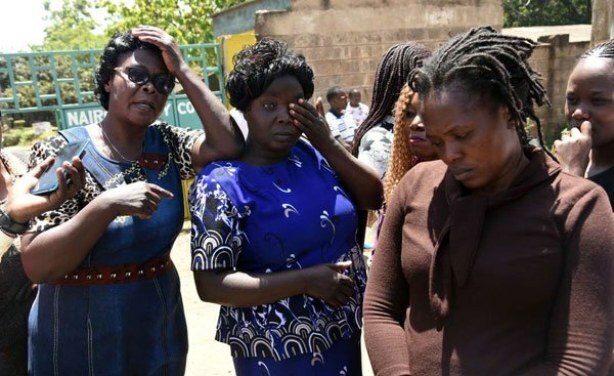 Carolyne Odira (left), Mildred Odira’s mother, Maureen Anyango (right), Mildred’s sister, and other family members outside City Mortuary on February 4, 2019.